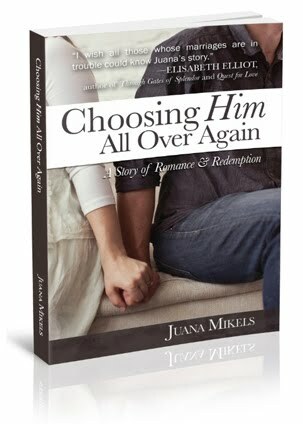 JuanaMikels.com: Calling Christian Girlfriends of All Ages! 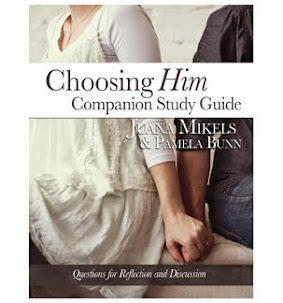 Calling Christian Girlfriends of All Ages! We read in Proverbs 11:25 that "Friends who bless others are abundantly blessed." Do you believe that? I know when I've been weary and didn't think I could do another thing, but trusted God in some tiny ministry to someone else, I end up being refreshed in the process in God's supernatural way. Many of you have blessed me as I have sought to follow Christ by doing something totally foreign for this math girl, and that is to write for the glory of God. Your "likes" on facebook, retweets, and your instagram follows spur me on as I think of you reading a scripture I posted or a spiritual post meant to encourage you. All along, you ended up encouraging me through an email, a comment, or simply a "like." I'd like to begin something new—and to borrow a phrase from David Jeremiah's ministry—I'd like to call it, "Circle of Friends." I want to ask you if you would consider being in my circle of friends. I'm not asking you for a donation or to add me to your Verizon free call list! I'm just looking for a few, good women! I want to know who are the women who are faithfully reading here (or through my social media accounts) and finding refreshment in the Lord, and ideally, to talk with you in the comment section regularly—such as a prayer request for you or your family there. There may only be ten of you! It may only be seven or four. I have no idea, but I believe that this thought came from to me from above. I want to know who are my top, loyal readers, and I want to interact with you more! I would rather engage with a few than be disengaged and haphazard with thousands. Jesus only had 12 in His inner circle! I actually got this idea last summer. My daughter works for a public relations firm. She showed me a book that the founder and president of her company wrote that he requires all his employees to read. I skimmed it and was struck by one particular question. While it was a secular book, the question made me think of serving others. It made me ask myself how well did I serve my readers, for he asked, "Do you know your top 100 customers?" I never got it off my mind. I kept thinking... my top one hundred?... I really don't even know my top three! I've never asked you how I can serve you better to make this blog as meaningful as possible for you. You can post as anonymously (and maybe I alone could know your code aka "L in M," for Laura in Maine, or use your pet's name, etc!) since this goes on Internet and you may not want to be identified. but if you are like my friend Mae, and don't mind, just say Mae! 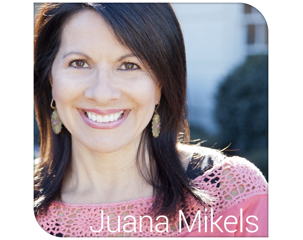 You can let me know by shooting me an email to juanamikels(at)gmail(dot)com if you want me to have your email, or simply tell me below in the comments. If you came over today via twitter, fb, or instagram... feel free to leave me a message at those places. If you do not hear back from me, I did not get it. Think of it as a small group who is praying for what's really important in your life for today. Because of the nature of Internet, it doesn't matter where you live or what time zone you are in—we can always get back "together" right here at all of our convenience. Hopefully that is only after you've met your responsibilities in the home, work, time with the Lord, and those under any authority in your life so you can be blessed here for spiritual enrichment together. This doesn't mean a lot of emails in your inbox. I don't plan to do that. But if I do need to ask your opinions, it would be nice to be able to email the group every blue moon. I mainly want to think of your very name and face as I write, perhaps even what you or your children or mom are facing, rather than wondering who is reading—and connect with you in the comments section. The Lord once paired down thousands to a mere 300 to accomplish his work in the days of Gideon. I would rather just think of the five or six of us meeting here on my blog, than countless people that have no face! I want to miss you when you don't add your comment or question, and I want you to miss me and know why I can't blog for 3 days! Let's go deeper with a few—instead of thinner with many. Just let me know if you are in! I think you are going to like the blog much better, because it is so much easier to write when you can see the face on the other end. I once had to do a radio interview staring at a green wall while the host was on the telephone. I was torturous for me! I'm not really sure what God is up to in this, but I am willing to find out. Pray and let me know. Then as I write, I am going to think of it as—well, in a word, "us." I hope you get much more back in return. But what if you are one of the young men who have been helped here? I want to know that, too. I like to consider myself a spiritual mother as Elisabeth Elliot was for me for anyone who so desires that. So if you feel God has helped you here regularly, pray about whether God would have you stay here if having a spiritual mom would bless you. I also can point you to some excellent male teachers of our day that will be great role models for you. I think of the women at the tomb who ran to tell the good news! They told everyone! I don't want to discount anyone who would like to learn from one another here, but of course, since I am a woman, I lean toward the feminine perspective and I will be focusing on women's issues. But what if no one contacts me? Yikes! This is scary! Perhaps that would mean that there is no need for a close spiritual circle of friends in this little corner of cyberspace, and God wants me to trust Him in spite of not getting to know the readers better. My desire is to get to know my top regular readers! I want it to be as if you are coming over regularly when you come to this spot, just like we were sitting together on my cozy red sofa with the sunlight of God's Word pouring on us! Why not share this post with a few friends who might like to join us? This is exactly what I wanted, Mae! I want people to write in the comments if they have a prayer request and you did it today! This alone encourages me greatly!!! This is exactly what I was hoping for. I hope others of you will be transparent like Mae, and just jot a short note. You cannot know how much it means! Even now Mae, I am lifting David up to the Great Physician! and add Jana and Jude!!!! Welcome! Make that six. Welcome Lynn! and to think all I was going to post today was the scripture Proverbs 11:25, and my fingers kept typing the idea out that I got last August. Isn't that too funny? I've made it on over, even though it is well past my bedtime. Sweet dreams, everyone. Hey my name is Olivia from Kenya. Would love to be part of the circle. Also pray for me to be able to revive my prayer life. Thank you and be blessed. Hi Olivia. I think it is so neat that you will be joining in from Kenya. I cannot wait to talk with you here! God Bless! Praying for you now, Olivia. Thank you for the warm welcome, Juana! I'm a Christian Life Coach preparing to step into grief recovery ministry -- an area God has been preparing me for since 2004. No one does this easily, and no one who is called to it can decline, I find. Prayer for strength to honor God is appreciated. And, I'm hoping this becomes one of the pools I can drink from to refresh myself to stay healthy and effective in this ministry. Juana, I would like to be part of your circle of friends. I need prayer for healing of a back injury and perseverance to live a life that honors God. I'm so glad you will be in the circle, Rebecca! I am lifting you up to the Lord right this minute, Oh Lord. You know about Rebecca's back. Lord you are the Great Physician. Lord, even now, we ask for your healing touch on Rebecca's back that she may be renewed. We ask for you to give her a spiritual touch from you to help her to persevere and iive a life worthy of her calling in Christ Jesus! Amen. Talk again soon, Rebecca, right here in the blog comments where others can read it. What don't I struggle with? I am a wife of 25+ years to a wonderful husband, mom of 4 boys ages 25, 20, 16 & 13. Oldest son is married for almost two years. Left my job at the end of last year, waiting on God for direction. He has been spurring something exciting in me for the last couple of years, but has only revealed bits and pieces. 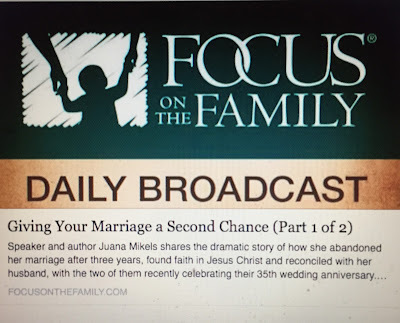 Started a blog, and hubby and I were leading small groups focusing on marriage the past few years. Early last year God led us to a new church after 13 years, so trying to find our place there. I have rejection issues, and struggle with my own agenda instead of God's while convincing myself that it is God's. But then again I feel that God has done miraculous things in my life and my marriage. These things may have been painful, but are to bring Him Glory. If I am quiet and don't tell anybody, then how does it bring Him Glory? So I have to tell others. But the lines are a bit blurry. So need some new "glasses" so I can see more clearly. Thank you for allowing me to be part of this amazing group. Am looking forward to learning a lot from everyone here. Thank you Lynn for the prayer. Hi ladies! Looking forward to getting to know you all! Juana, I would like to be part of your circle of friends. I'm Deborah, 45 and married. Barry's Superman Message to the Women! YouTube Clip of My Daughter (blind). Enjoy.